 The Mosta Cycling Club was founded on the17th August 1953. These sixty years cannot be narrated in just this page. Eventually in 1981 the first magazine was published covering the visit of Italian team from Cesenatico and the event organised by our club. In 1989 the club published a second magazine covering the major events from 1953 to that date. Again in 1995 a third magazine to commemorate the opening of the club's premises was published covering the period mostly from 1989 to 1995 to commemorate the opening of the club’s premises. In 2003, on the 50th anniversary of the foundation of the club, the fourth detailed magazine covering major issues and achievements of the club year by year since 1953 was published, and included an extensive amount of photographs in colour and monogram. In foresight of any further booklets being published over the years, another notebook of activities from 2003 onwards is being compiled together every two years for any reference of club activities in future. The main sponsors of the club over the years were, from 1983 Oldham Batteries, from 1987 Cementstone, from 1996 Mapei and from 2005 AF Sign Studio. Apart from these, other sponsors included: Magri Cycles and Spares, S&R (Handaq) Ltd., S. Trek Ltd, Vassallo Builders, Ballut Blocks Ltd. Power Bar and Liquigas Malta Ltd.
Over the years the club has also received other means of assistance from Scicluna Woodworks Ltd., Smart Supermarket and Philip Toledo Ltd., members and other individuals. For the local feast of Santa Maria, the club in association with the Mosta Parish Church Authorities, organizes annual cycle sprints in the main road, which by now are renowned as the Santa Maria Sprints. Over the many years (30) that these sprints have been organized, our club has obtained the majority of trophies year after year. Besides this event, the club also organizes a yearly road race in the perimeters of Mosta or on other circuits. The cooperation with the Local Council and the Arch Priest of Mosta is very solid and every year our club participates and helps to organize cycling events open for local youths, particularly the annual pilgrimage since 2009. The Club also organizes other social activities such as pasta nights, BBQ and fun rides. as well, such as pasta nights, BBQ and fun rides. The annual dinner usually held in mid December, is always a great success with attendance always in the region of 100 or over. At the end of the dinner, the club officials present a memento to all member cyclists as a sign of appreciation for their participation in Club and National Championship races. A memento is also presented to the sponsors, Nursery coaches and volunteer helpers. As the club has the majority of cyclists that participate in the Malta Championship races, both ITT and road races, it is evident that the National Overall Aggregate Championship Trophy is practically always won by our club. The podium results are very convincing as well as one can see from the results. One cannot fail to mention the results and achievements obtained by cyclists from our club. In fact for these last years, a group of members participated in endurance races known as Granfondo in Italy. These races consists of a course with several long and high in altitude mountains which are difficult. A certificate of completion together with the result which is approved by the UCI, is given to those who finish. In 2010 and 2011 they were each given a personalised trophy “Premio Fedelta’ for completing ten participation each. Our members always finished and placed well. Others members, prefer to travel on their own and beat the challenge of renowned mountains such as the Stelvio, Gavia, Mortirolo and others. Members have participated abroad in Club and National races in Belgium and Ireland. It is not the first time that our cyclists have also participated in training camps and races in Dublin or the U.K. In 2004, one of our member cyclist, Rodrick Muscat even participated in the ITT and Road races of the Junior Under 23 World Championships held in Windsor Canada. Rodrick also participated in the Andorra GSSE Games of 2005 and placed third winning the bronze medal at the Andorra. Over the years, several cyclists from our club were selected to form part of the Malta National team and have competed in the Small Nations Games, Olympic Games and Mediterranean Games and other tours in different countries that they were invited to. The club always had working councils, and the fact that it is the only cycling club with its own club premises proves it. It is also the only club with its own monthly newsletter, which now is in it’s sixteenth year, and also with this official up to date web site and Facebook page. On Sunday December 6, 2009, our club President, Johnny Magri was presented with the certificate by the Malta Olympic Committee to attest his inclusion in the coveted MOC Hall of Fame. This is a reward which is given to those who have worked hard towards the sport they are involved in and is a rare achievement for anyone to obtain. On the 11th of Decenber 2014, our Club was associated with the Malta Triathlon Federation. John Magri our club President was one of the founders of the Mosta Cycling Club and has been active as a cyclist, coach and mechanic. He has replaced Dr. Aldo Vella who occupied the office as President for twenty years. Before the last annual general meeting he asked the council to be replaced as he cannot continue due to family matters. During the same annual general meeting Dr. Vella was unanimously elected as Honorary President by the members present. John Magri had already occupied the office of a President for eight years from 1986 to 1993.